Service is one of our top priorities here at Swede Farms. 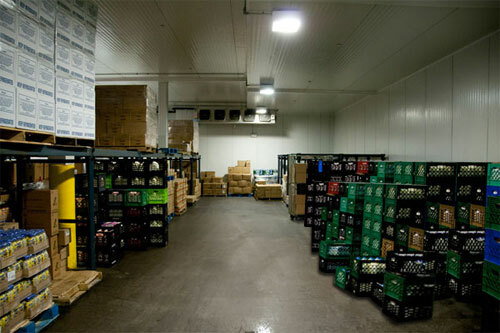 Our new, state-of-the-art temperature controlled warehouse and distribution facility reflects that commitment to service. We are strategically located in Teaneck, New Jersey, just minutes from the George Washington Bridge thereby guaranteeing our customers the freshest products promptly and consistently. Over the past few years our region has faced snowstorms, hurricanes, heat waves, brown outs and other miscellaneous causes of electrical outages. In order to continue our top level of customer service, we have taken a proactive approach to handling these types of emergencies. As of February 2012, we are proud to announce the official installation of our industrial sized emergency generator! Since then, it has been put to the test and we are confident we will never again have to worry about losing electricity. 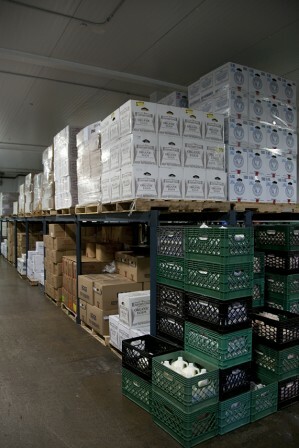 When the lights go out and your competitors are scrambling to get their dairy products, you will still have your dairy needs met on time.